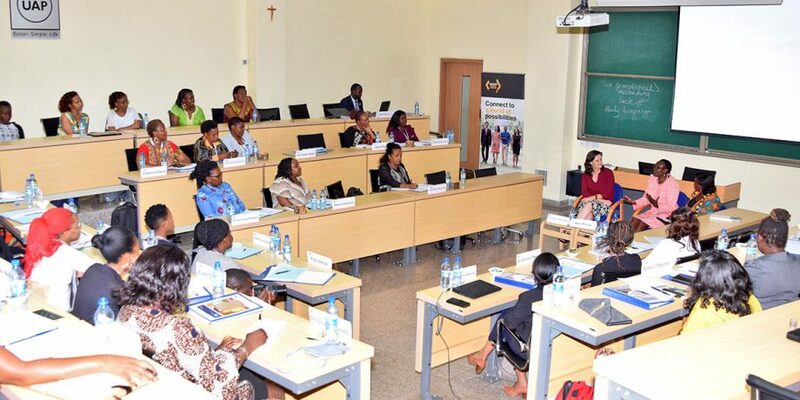 In its endeavour to transform leadership in Africa, Strathmore University Business School (SBS) has taken the responsibility of influencing women in leadership by driving conversations around leadership and management. This has been made possible through the development of an array of programs for women. The aim of this is to give women the opportunity to learn from renowned industry experts, network, identify a coach or mentor and expand their career opportunities. The women in leadership programme runs for a duration of four days with 16 sessions. It understands that women play multiple roles in the society and workplace. 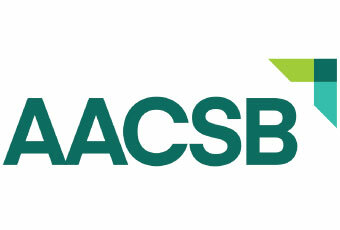 This may pose a challenge and may affect their ability to perform effectively and efficiently in their tasks. These programmes allow women to exchange ideas and learn how to organize themselves for success. The most recent programme, sponsored by the Australian Commission, hosted Her Excellency Alison Chartres, Australian Ambassador to Kenya and Ms. Njoki Kahiga, who in 2013 was appointed as a commissioner in the Kenya Law Review Commission. 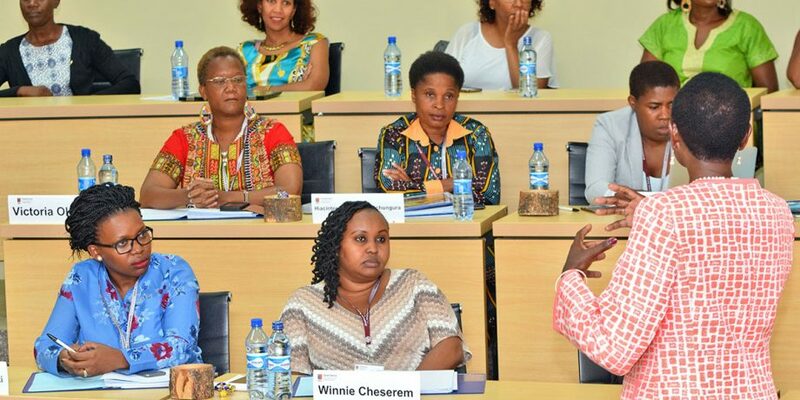 Their outstanding experience and knowledge in leadership spoke to a mix of participants representing Kenya, Uganda, Rwanda, Ethiopia and Tanzania as the participating women were deeply engaged in conversation. “Men get noticed because of their potential, women get noticed because of their past experience” said Ms. Kahiga as she humoured the participants on the assumptions that exist of women in the work place. This however, was followed by constructive tips on how women can position themselves for greatness despite the hurdles they face. Ms. Kahiga spoke of the importance of networking and remaining in good terms with one’s superiors. “If I could do it again, I would have aggressively networked with the political class and who knows, I might have been elected as CS” She said. The participants were keen to know how exactly one networks at corporate events especially as an introvert. Her Excellency stated that one needed to learn how to engage in ‘small talk’ and use their colleagues to gain access to conversations where they can meet new people. She however pointed out that these abilities do not come naturally, one must work on themselves to build on their capacity to ‘work a room’. The conversations touched on mentorship as the participants sought to know how necessary a mentor is in one’s career and what constituted a suitable mentor. “I have as many mentors as the facets in my life” said Ms. Kahiga. She went on to explain how important mentors are and that we need guidance in our professional life, our family life, our spiritual life e.t.c Her Excellency Alison Chartres agreed with her sentiments and went on to advise the ladies on the characteristics of a good mentor, “It should be someone who is accessible, understands your area of work but does not necessarily work in your field, are friendly and recognize the challenges you face on a daily basis” said Her Excellency. The programme came to a close with a graduation ceremony as the guests wished the participating women the very best in their endeavours.